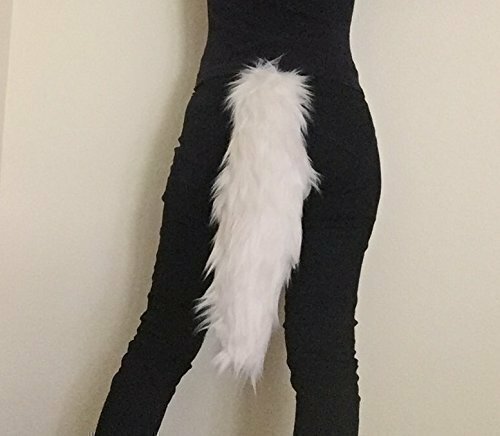 Bianna Off White Ivory Faux Fur Animal Cosplay Tail, You choose 15 20 25 30 35 '', Anime Convention Rave Costume Gear, Furry Accessory by Bianna Creations at Nicky's Blog. Hurry! Limited time offer. Offer valid only while supplies last. This kawaii (cute in Japanese) tail is made of soft long faux fur. It is stuffed with love, care and premium non-allergenic 100% polyester fiberfill. This kawaii (cute in Japanese) tail is made of soft long faux fur. It is stuffed with love, care and premium non-allergenic 100% polyester fiberfill. It is all soft and fluffy! A ring is firmly attached to the tail to give you the freedom to choose what you can use to attach it. It can be attached to a belt. You can use a carabiner clip, a cloth pin, or whatever you feel it is best to attach it. This listing comes with 1 (ONE) Ivory Long Faux Fur Tail. You choose the size upon checkout: fits kids and adults!. * 100% Handmade with love in USA at smoke free place.